Don’t see your story on the shelf? Write it. Last fall we had the privilege of publishing an adorable children’s book that was long overdue for today’s market. 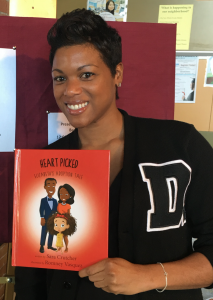 Read on to learn author Sara Crutcher‘s story and how she managed to have such a successful first book! Set up a website. – Having your own e-commerce website for people to buy your book will help bring traffic to your site and social media pages. I set up my own website (http://www.heartpickedwithlove.com) via com. Squarespace worked really well for me. I can keep track of pending orders, send tracking numbers once the books have shipped, update and add pictures to various tabs quickly and all payments link to my business checking account (I set up a business as an LLC). Set up a business account with com. – If you have a website and ship books yourself, I would recommend setting up a business account with USPS. You can get free priority mail shipping supplies, print labels (at a cheaper price) and if you are shipping books in bulk (2+ books), go to USPS and ask to ship using Media Mail (very cost effective). Create Promotion Materials – Prior to my books arriving, I had flyers, business cards, a poster board image of my book cover, and thank-you cards made. Zazzle is great for promotional materials. I get my tote bags from them. The flyers are great to give out at events for people who want to buy the book at a later date or to give out to their friends. With every book I ship out, I always write a thank-you note. 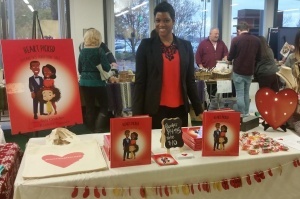 Know your Target Market – My book is about adoption and features an African-American family. 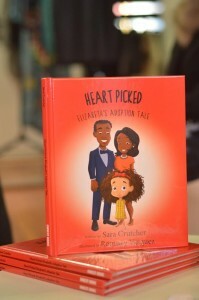 My target audience for marketing the book is the adoption community and African-American families. Make a Marketing/PR List – When I determined my target market, I worked with a good friend who works in PR. We researched as many adoption/African American family agencies, magazines, government agencies, blogs, podcasts, publications, TV programs, bookstores, museums, and organizations we could find. I made a list of contact information and sent emails to EVERYONE. Make sure to follow up with people and always search for other areas you can reach your target audience. Get on the phone, send emails, go to places in person to introduce yourself and your book. GRIND! Social Media – You can choose which social media accounts you want for your book. I have Facebook, Twitter and Instagram. Try to make a personal connection with your followers. If there are social media campaigns that pertain to the topic of your book, post pictures using the hashtag. Tap into your own social network – Send an email to family and friends introducing your book and ask them to forward your email to their family and friends and share on their social media pages. I told everyone I met about my book and so did my family and friends. We connected our networks and were able to set up some great things. 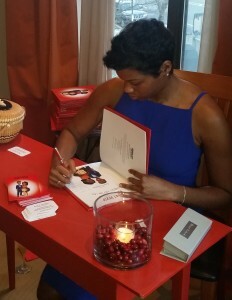 Keep a Calendar – As you start to meet people and secure book signings and speaking engagements, keep a calendar (preferably electronically so you can set reminders) so you can stay organized. Offer Discounts for Bulk Orders – This is a good way to sell books in bulk. I usually offer discounts to bookstores and schools between 20-40% off when they order a minimum of 12 (or 24 depending). Sign your books – Everyone wants a signed-by-the-author copy of your book. Try to have a standard message, sign, and date it. I usually don’t date books unless someone buys them in person. I added a place on my website at checkout where people can add a name if they want it dedicated to someone. Please leave any questions or comments below and we’ll have Sara answer them in a future blog post. 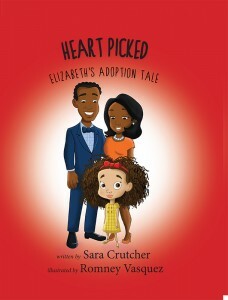 Heart Picked: Elizabeth’s Adoption Tale is available here, so get your copy today! One Response to Don’t see your story on the shelf? Write it.